What Will Be Said of Our Generation? 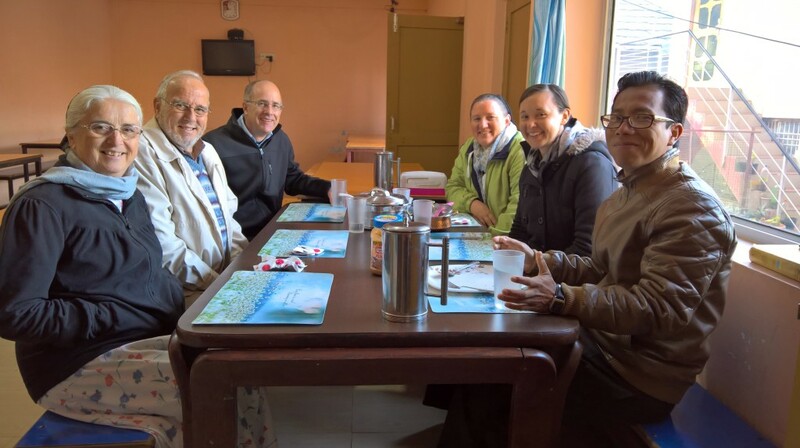 What a joy to again have the privilege of serving the Lord with MTM in India! 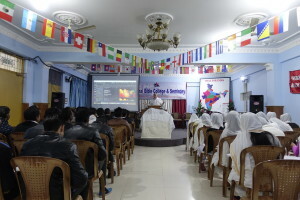 This time the venue was Himachal Bible College and Seminary in Palampur, Himachal Pradesh. February 3-10, 2018 was time set aside for the Youth Empowerment Conference. Raymond and Naomi Burkholder, Rosa King, Carolyn Roth, and myself comprised the MTM teaching team. L-R: Naomi & Raymond Burkholder, Ken Gehman, Carolyn Roth, Rosa King and Emmanuel who is on staff at HBCS. More than 50 students at the Bible college are finishing their work for the semester and preparing for their summer ministry trips. Many of these students will be sharing the Gospel in very difficult and even hostile situations. What a blessing to listen to the stories of their own journey to Christ. Make no mistake, God is still at work, gloriously saving people out of spiritual darkness! These in turn are in discipleship training for a life of ministry and service to God. It was humbling to have the opportunity to speak into their lives before such an undertaking. After a session from 1 Peter on “The Path of Suffering”, one student told me “I will be serving in a very dangerous place this summer, but I am willing to lay down my life for Jesus”. Oh, that God would stir our hearts also with that kind of vision and commitment! Full group of HBCS students along with the MTM teachers. Brothers and Sisters, it is very difficult from the comforts of home to fathom the vast scope of the need for the Gospel. Young people and pastors are continually calling out for people to train them in the principles of God’s Word. They in turn will be able to effect multitudes more with their dedicated lives. They already know the language and the culture and need no visa. What a blessed opportunity to share in a communion service with these dearly beloved brothers and sister from many different nations, tribes and languages…TRULY A FORETASTE of HEAVEN!! Will it be said of our generation that we squandered the opportunities set before us to further the Kingdom of God? There are so many of you whom God has already equipped for this work of discipling others. How will we answer to God if we neglect to invest what He has so graciously given us? May God fire our hearts with His zeal! The blessings that God pours back in to one’s life through such service are beyond description. I urge you give God an opportunity to prove it to you Himself. Editor’s Note: The above article was written by Ken Gehman. Ken & his wife Sue and family live in Mill Hall, Pa. Ken serves as Bishop in the Keystone Mennonite Fellowship consituency. May the Lord reward Ken openly for his labor of love in serving the students by ministering the Word of God at HBCS. Thank you brother Ken. The young ladies listening attentively as the Word of the God is being taught! “Freely you have received; freely give.” As we made plans to go to India and teach the young ladies at the Himachal Bible College who are preparing for ministry, we thought about some of the things that we have learned from our own experiences in ministry and prayed about how we could offer that to them. The subjects of the week centered around our identity in Christ and what it looks like to shine His light and offer His love in a broken world. Staying on campus gave opportunity for good conversations and building relationships outside of class time. Helping the ladies make chapatis in the kitchen and teaching them how to make pancakes made for some fun interaction. Hearing some of the stories and testimonies of the students was also inspiring to us. We’re excited about what God has in store for these young ladies and how He’s going to use them to advance His Kingdom! Editor’s Note: The above article was written by Rosa King and Carolyn Roth, who taught several classes for the ladies. They both serve full time with Ransom Ministries in Thailand. PreviousPrevious post:“…the villagers secretly planned to kill me.”NextNext post:How Can We Overlook This Great Call?